The Congress on Saturday took a swipe at Prime Minister Narendra Modi for sending best wishes to his Pakistani counterpart Imran Khan on the eve of the neighbouring country's national day. 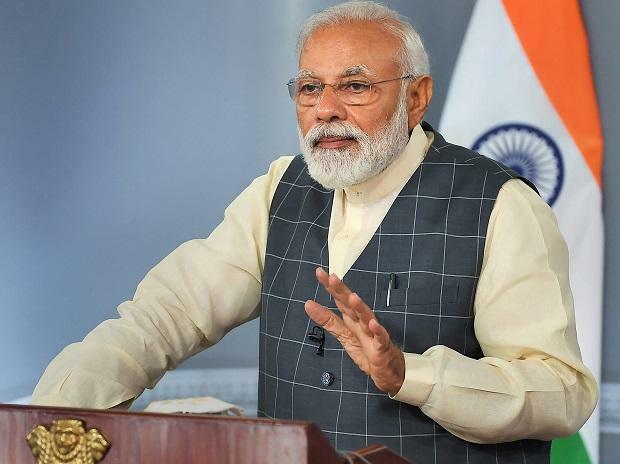 Official sources said Friday Modi sent a letter to Khan, greeting people of Pakistan on the eve of its National Day and highlighting the importance of a terror-free South Asia. Congress chief spokesperson Randeep Surjewala reminded Modi of his own words asking him to stop writing "love letters" to Pakistan and alleged that his "muscular politics" is aimed at only the people and the media. "Mr 56" of the Sari-Shawl-Impromptu Pak visit for Birthday-ISI invite fame diplomacy was feeling very shy yesterday. "Guess? Chowkidar hid the fact that he had wished Pak PM on Pak National Day without a word on Pak terrorism. "Muscular politics soap opera for people and media only," Surjewala said on Twitter. The Congress leader also tweeted, "Modi ji, Stop writing this Love Letter to Pakistan". He posted a video of Modi's interview to a channel where Modi during the UPA time is saying Pakistan needs to be talked to in the language it understands and that writing love letters to it should be stopped. He was referring to then prime minister Manmohan Singh's letter to then Pakistan President. According to the External Affairs Ministry, India has decided to boycott a reception at the Pakistan High Commission here to mark Pakistan's National Day as several separatists leaders from Jammu and Kashmir have been invited to the event.